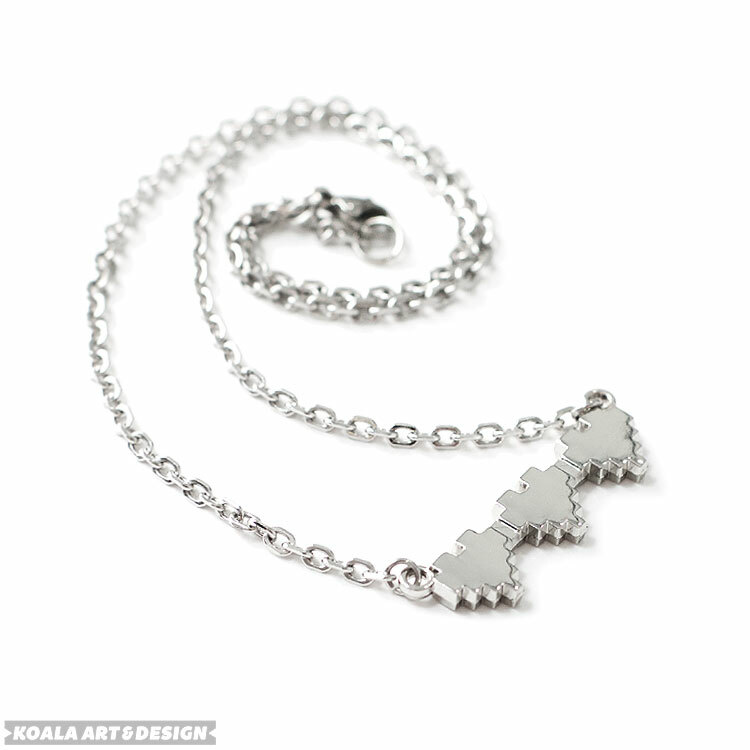 The video game inspired 8Bit Heart Earrings are a custom creation and is only available through the Koala Art & Design store. These adorable french hook earrings features two unique 1/2x1/2inch silver charms. Check out the Matching Health Necklace. Click Below!